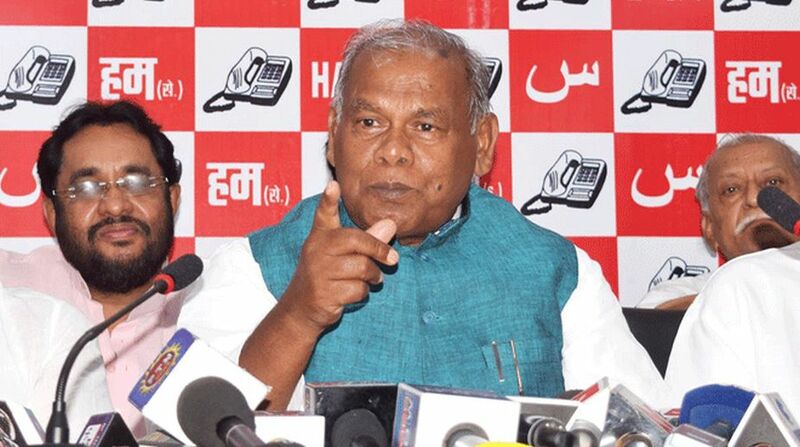 Jitan Ram Manjhi, the former chief minister of Bihar, announced his decision to quit the National Democratic Alliance (NDA) of which his party Hindustani Awam Morcha was a part till now. Before announcing his decision to part ways from the alliance, Manjhi met Rabri Devi, wife of jailed RJD supremo Lalu Prasad Yadav, at the latter’s residence on Wednesday, 28 February. Addressing reporters outside the Yadav residence in Patna, Manjhi, said that he has joined the ‘Mahagathbandhan’ (Grand Alliance). Former Bihar health minister and Lalu’s younger son Tejashwi Yadav welcomed Manjhi to the Grand Alliance saying that he is an “old friend” of his parents. One of the most prominent Dalit leaders in Bihar, Manjhi served as the 23rd Chief Minister of Bihar from 20 May 2014 to 20 February 2015. He was expelled from the Janata Dal (United) in February 2015 following which he formed his own party. The incident triggered a deep animosity with JD(U) chief and Bihar Chief Minister Nitish Kumar. On Sunday, Manjhi demanded one Rajya Sabha seat for his party from the NDA adding that he will part ways if the demand is not met. “The NDA must announce at least one Hindustani Awam Morcha (HAM) leader among its candidates for the six Rajya Sabha seats in Bihar. If that does not happen, our party workers will not campaign for candidates of the coalition in the by-polls”, Manjhi told PTI in Gaya. The Rajya Sabha election is slated for March 23. The by-polls for Araria Lok Sabha seat and Jahanabad and Bhabhua Assembly seats are scheduled to be held on March 11.